Amanda Young was an inspiring young woman possessing many skills and passions, and a much loved daughter to Barry and Lorraine. Amanda was talented and hard working in sports, academics and music. Throughout her life Amanda excelled in competitive sport and she had a desire to pursue her dream of a future in Environmental Science. She began her sporting career early, representing the State in Calisthenics in 1986. She attended Gosnells Primary School and in her final year was Head Girl and Dux. She loved music, learning the flute, organ and recorder and also enjoyed ballet, jazz and tap dancing. As well she loved horse riding, competing in One-Day, Tetrathalons , Hacking and Carriage Driving events. She was also a member of local swimming, gymnastics and calisthenics clubs. 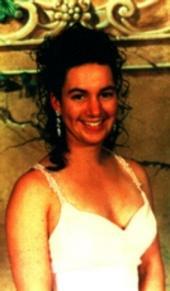 From 1992 to 1996 Amanda attended Penrhos College, gaining an “A” grade in every subject and many prizes along the way. Amanda represented her school in swimming, rowing, equestrian, athletics, cross-country, softball and debating. In her final year she was awarded the Margaret Way Prize for the most outstanding contribution to the College community. Amanda was able to travel internationally both to compete in sporting events and also to further her studies with trips to Canada, USA, Japan, Moscow, St Petersburg and London during her high school years. She also attended two National Science Youth Forums in Canberra. She was undertaking studies in Environmental Science at Murdoch University where she had gained Distinctions and High Distinctions and had also studied Architecture and Fine Arts at UWA. 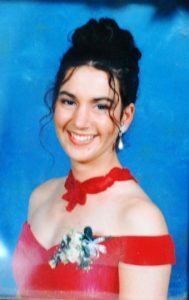 Amanda attended an Inter-varsity Rowing Regatta in Penrith in October 1997, where she tragically contracted meningococcal disease and died at the tender age of 18. However Amanda’s legacy lives on. Her parents, Barry and Lorraine Young, established the Amanda Young Foundation in 1998 with the aim of reducing deaths in WA from meningococcal disease, and supporting survivors of the disease. The Foundation is also committed to supporting the development of young people into Western Australia's future leaders. Final Year - Head Girl and Dux. Represented school in swimming, athletics, softball, netball, music - recorder ensemble, tennis. Member State Sub-Junior Calisthenics Team in Adelaide 1986. "A" rating in every subject over 5 years. Academic achievement award TEE 1995-1996. Represented Penrhos in swimming, rowing, equestrian, athletics, cross-country, softball, debating. Vice-Captain of Sport and Rowing Captain 1996. 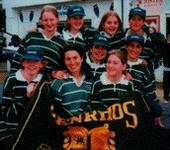 Member of Penrhos Rowing Crew: 3rd place School Girl National Titles held in Collie 1995. Toured Canada - USA Penrhos Cross Country Tour 1996. Attended National Youth Science Forum, Canberra 1996 & 1997. Visited Moscow, St Petersburg, London NYSF 1996. Visited Japan 1997 - spoke Japanese. Year 12 M.Way Prize - Most Outstanding Contribution to the School Community, Biology Prize. 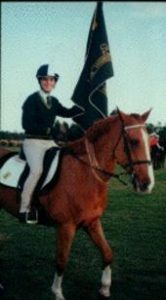 Member of Gosnells Pony Club - successful rider. Hacking, One-Day events and State Pony Club Tetrathalon. Competed in Perth Royal Show - Hacking and Carriage Driving. Member Murray Districts Carriage Driving Club. 1st Semester Results: 2 Distinctions, 2 High Distinctions. UWA student - Architecture and Fine Arts. Attended Inter-varsity Rowing Regatta in Penrith in October 1997, where she contracted meningococcal disease.